p>Felicily Palmer is one of the most versatile performing artists singing today, equally at home in music as diverse as Handel, Wagner and Serio. On the operatic stage her performances have included Fricka and Waltraule in Ring cycles and the Countess in Pique Dame and Geneviève in Pelleas et Melisande at the Metropolitan Opera, New York; Mme de Croissy in Les Dialogues des Carmelites in Paris, Toulouse, Zurich, the Metropolitan Opera and at la Scala Milan with Riccardo Muti, Klytemnestra in Elektra and Dmitrievna Akhrossimove in War and Peace at the Paris Bastille; Giulio Cesare for San Francisco Opera; Pique Dame in Chicago and at the Metropolitan Opera, Elektra and Mrs Lovell in Sweeney Todd at the Royal Opera House. 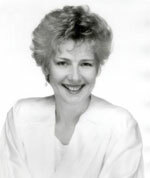 She has long distinguished herself in concert performances including the BBC Symphony Orchestra with Boulez, Davis and Rozhdeslvensky; !he English Chamber Orchestra with Sir Charles Mackerras, !he London Symphony Orchestra with Tilson Thomas, the Philharmonic and the Royal Philharmonic Orchestra with Sinopoli; the Concentus Musicus Wien with Harnoncourt; the Concertgebouw Orchestra with De Waart, the New York Philharmonic with Boulez; the Boston Symphony Orchestra with Frühbeck de Burgos and James Levine, the Los Angeles Philharmonic with Sir Simon Rattle and the Cleveland Orchestra under Weiser-Moes! Felicity Palmer was made a CBE in November 1993.